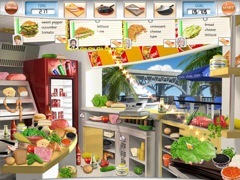 In GourMania, you'll find out if you've got the chops to win a cook off among the top chefs at a glamorous resort. Begin your journey at a fast food joint, finding the ingredients for the sandwiches your customers want and the processing their orders before time runs out. Before the big showdown, you'll save a Sushi Bar, a Pizza Parlor and more from shutting down, making you the most sought after chef in town! Just make sure to purchase the upgrades that will give you an edge. 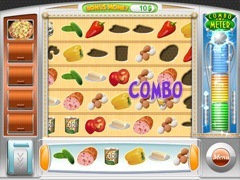 Full of seek-and-find and slice-and-dice fun, GourMania is your ticket to the big leagues!